The war stories of womanhood. What is it about childbirth that compels us to tell our story to any and every woman who will listen? You’d think we’d get tired of it; and yet we continue on. Years after the birth we can still recount with uncanny detail every facet of the event. Not only do we love telling our war stories, we love listening to them as well! Just spend a few minutes flipping through the cable channels and you’ll find baby shows ad nauseum. I have a friend whom I only see once every month or two. Every time we meet, we begin our conversation by catching up on how the latest addition to our families is getting on. Inevitably, the conversation circles back around to the circumstances surrounding their arrival into our lives. There’s something almost magical about this highly personal, intimate experience that bonds women around the world together in a sisterhood of battered, but proud, bodies. Our “war wounds” are our badges of honor. To some people, these conversations may seem a tad inappropriate, perhaps even morbid, or the ever-present “TMI.” However, I love them. I love the bond that is there no matter your race, creed, or religious affiliation. We all have war stories. Those who have been touched by infertility may at times feel or think that they have nothing to contribute in these war story jam sessions. Nothing could be further from the truth! While those who have born children have physical battle scars – stretch marks, wider hips, feet a size or two bigger, cesarean scars – those who have battled infertility have scars of their own; welts from daily injections, internal signs of probes and needles and other medical paraphernalia having been where nothing should ever have to go. There are emotional scars as well – for all of us. Whether it is from a traumatic labor and delivery, or from the void that an empty womb can cause, behind every woman is a good war story. Those who have physically given birth have a story to tell about the arrival of their precious son or daughter. Those who have adopted or taken foster children have amazing tales of how paperwork got in at just the right time or how things almost didn’t happen; and of the moment they first laid eyes on their child. Women who cannot have children have harrowing tales of fertility treatments, miscarriage, even hope. Either hope for a future with children, or hope for a future full of fulfillment and joy found in their chosen pursuits. Next time you’re in or around a group of women, sit back and listen. Take time to hear their war stories. If you’re a woman, you’re a part of a larger tapestry, woven together with every other woman on this planet. Your story affects hers; and vice versa. Every battle scar is a strand that reaches out to touch and wind around every other thread. Men, you’re in there as well. You have stories of your own, but that’s another article for another day. But don’t be afraid to listen. Listen to the remarkable tales of the strong, vibrant women around you. Listen to the war stories of womanhood. Great post! You have a great story! A beautiful post. 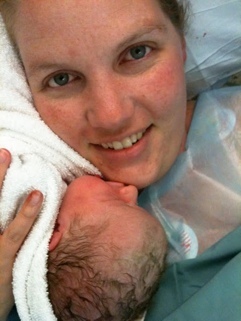 In addition to two adoptions, I am also a doula. Birth stories are part of the business. Thank you so much! I have actually considered becoming a doula, but I think it will have to wait until my children are a bit older. But I love the entire experience, both my own, and sharing in others’.